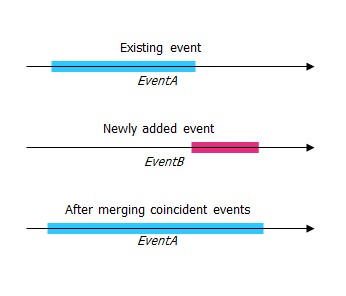 In this method, the event's From measure and To measure are located on the basis of the measure values from the selected route. As shown in the example below, the From and To measures of the route are 0 and 10, respectively. An event with From and To measures of 2 and 8 can be located on the route. 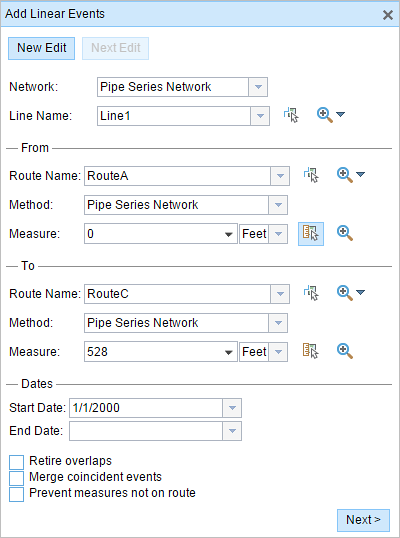 The route and measure method is always the first option (in the form of the network's name) in the Method drop-down list. The Add Linear Events dialog box appears. The selections in steps 3, 5, and 8 can be configured in advance when configuring, creating, or editing the default settings for attribute sets. For more information about configuring, creating, and editing default settings for attribute sets, see Producing attribute sets and Configuring attribute sets. 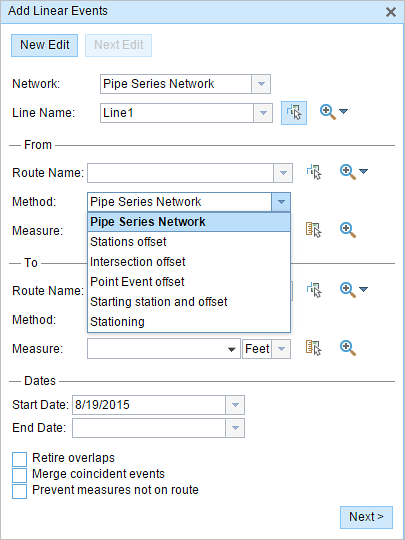 In the From section, choose the first option (with the suffix Network) in the Method drop-down list. 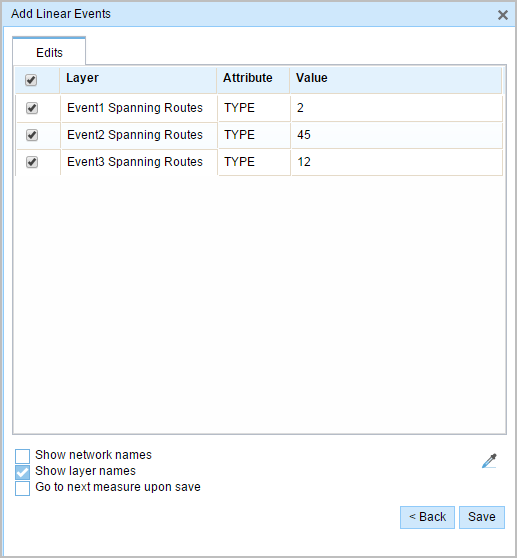 From the Route Name drop-down list, choose the route where the event's From measure value will be located. Use the Select a Route on the Map tool to choose the route on the map. 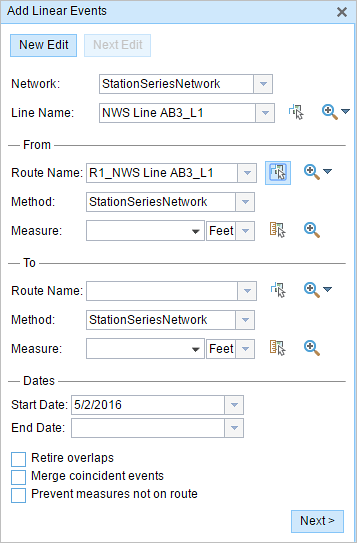 Use the Select From Measure on the Map tool to choose the From measure value along the route on the map. Use the Measure drop-down arrow to choose either Use the Route Start or Use the Route End as the From measure value for the event. If you type the From measure value, you can choose the unit for that value using the drop-down arrow. 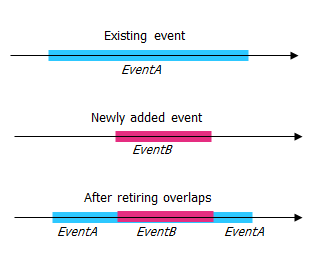 The From measure value will be converted to LRS units before saving the newly added events. For example, the LRS is in miles and you typed 528 feet as the From measure value. The newly added events will have a From measure value of 0.1 miles, because 528 feet equals 0.1 miles. For the To measure value, repeat steps 6 through 8 in the To section.